Features a European inspired curved design that stands vertically without the need for a separate base. Patent-pending easy release removable lid that converts into a foil cutte. Opens up to 40 bottles on a single charge, all with the single push of a button. Unique transparent shell makes the entire cork removal process visual. 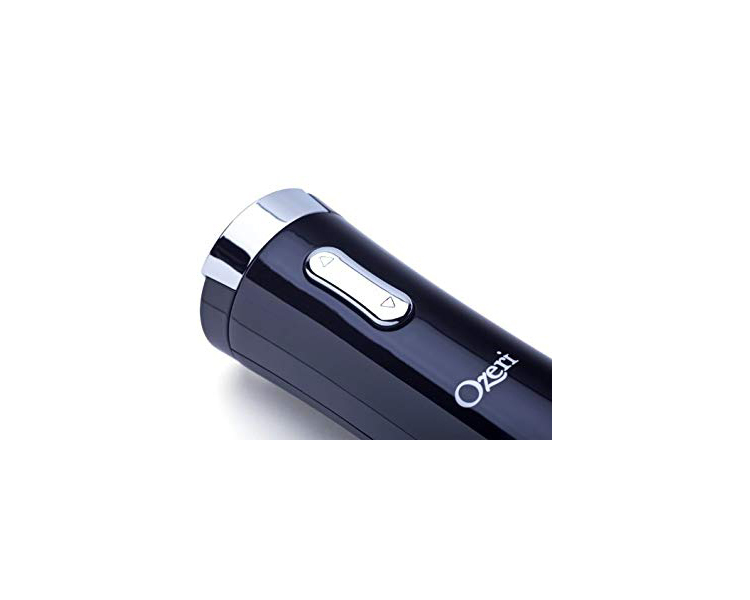 Illuminates with a soft blue light when in use and while recharging. 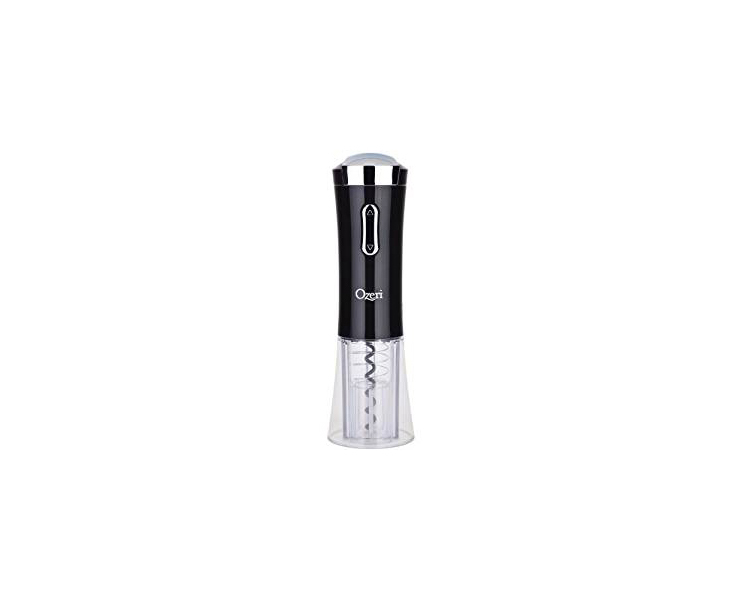 The Ozeri Nouveaux Electric Wine Opener in elegant black combines an European inspired cordless design with a new ultra fast rechargeable motor that opens up to 40 bottles, all on a single charge. With the Ozeri Nouveaux Electric Wine Opener, opening a bottle of wine is effortless, quick and entertaining. The Nouveaux introduces a celebrated design incorporating elegant curves that allow it to stand vertically without the use of a separate base or stand. Designed for home and restaurant use, the Ozeri Nouveaux Electric removes a wine bottle cork with the gentle push of a button. 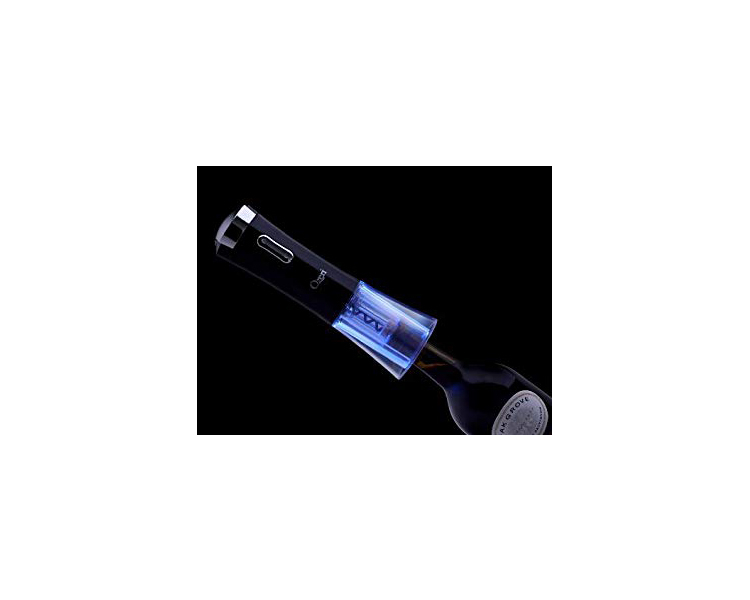 Unlike other electric wine openers, it features a transparent corkscrew shell that makes the cork removal process completely visible. When in use or while being recharged with the included compact adaptor, the Nouveaux illuminates its transparent bottom shell with calming blue indicator lights. 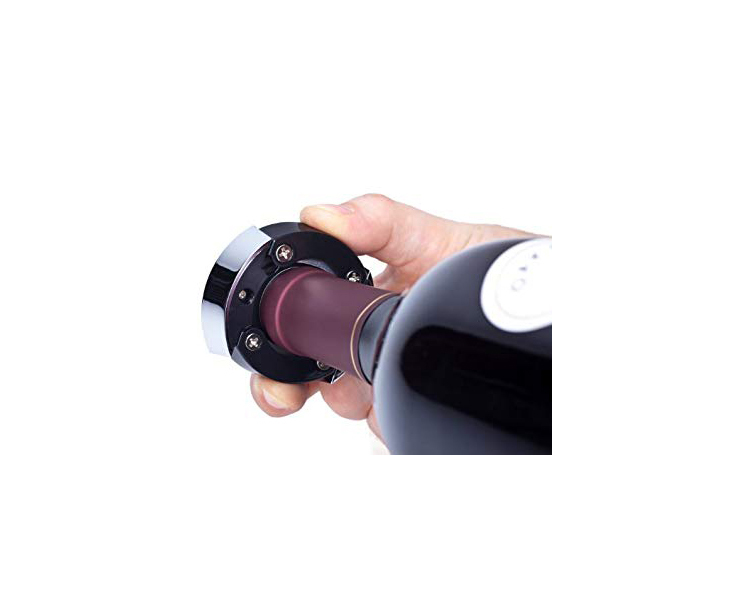 A completely cordless wine opener, the Nouveaux opens both natural and synthetic corks, and features an ergonomic grip for easy handling. With its fashionable design, high quality materials and durable construction, The Ozeri Nouveaux Electric Wine Opener is the ultimate companion to every wine bottle.